Grew up with Maccabi Ironi Ramat Gan (Israeli) juniors. 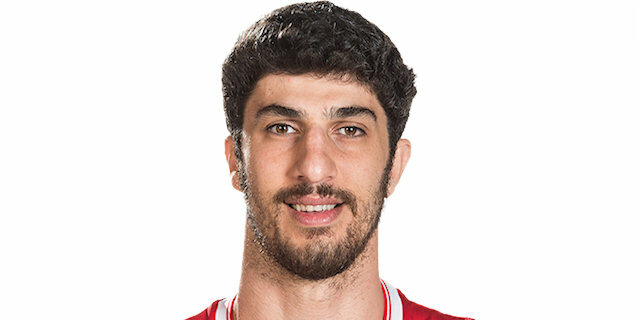 Signed for the 2003-04 season by Hapoel Galil Elyon. Signed for the 2006-07 season by Maccabi Tel Aviv. On November'13, signed by Hapoel Jerusalem for the 2013-14 season. Named 2008-09 EuroLeague December MVP. Named the 2008-09 EuroLeague Week-6 and Top 16 Week-1 MVP. Won the 2006-07, 2008-09, 2010-11 and 2011-12 Israeli National Championship with Maccabi Tel Aviv. Won the 2011, 2012 and 2013 Israeli National Cup with Maccabi Tel Aviv. Played the 2005 and 2006 Euro Cup All-Star Game. Named the 2011 Israeli All Star Game MVP. Has been member of the Israeli U-20 and U-21 National Team. Named to the 2005 European U-20 1st Team. Played at the 2007, 2009, 2011, 2013, 2015 and 2017 European Championships.